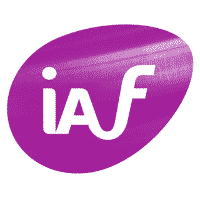 Perspectivity’s Hanne Verhoeven is an assessor for the International Association of Facilitators (IAF). This means that Hanne’s competencies as facilitator are officially recognised and that she is certified to assess the qualities of others. This October, Hanne assisted a bunch of facilitators from all over the world who strive to become IAF Certified Professional Facilitators at an IAF conference in Paris. I would like to thank you again so much for all the support during the process of the assessment. I am very grateful for all the feedback and guidance you have given me. I hope I can one day overcome the issues and challenges that you pointed out.